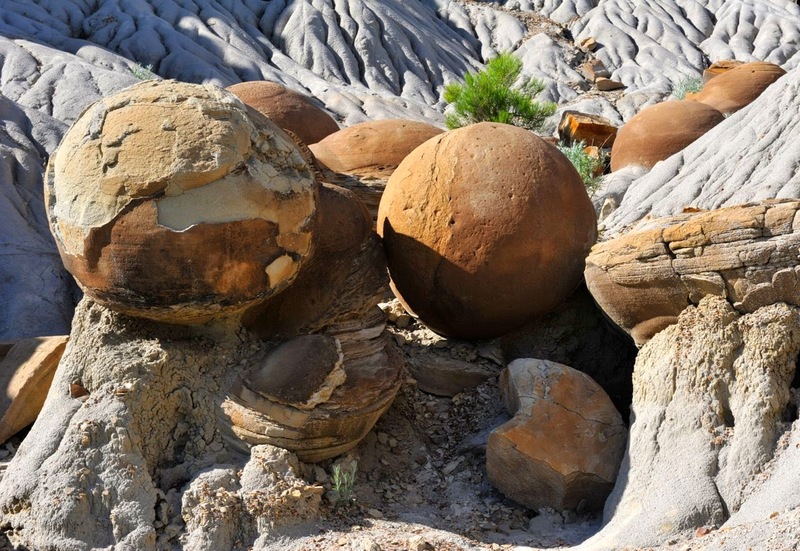 These unusual rock formations are jointly named "Cannon Balls." They can be found in Roosevelt National Park in North Dakota. The park was named after Theodore Roosevelt in recognition of his conservation efforts in rapidly developing America of the early 20th century.